Thirty-seven-year-old Rusty Kenneficke has a multilayered problem. He’s divorced, living in an apartment in his uncle’s rundown backyard, and is essentially a starving author. Sure, he has had some minor accomplishments in the past by successfully publishing two of his novels, but neither produced enough sales to continually support his lifestyle. Rusty needs to pen another novel, but this time he has to make the theme so stellar to not only catch the eye of his frazzled and overworked publisher, but to be able to create enough sales that he can comfortably live off the royalties. However, his current cramped living quarters is putting a serious hindrance on his ability to feel inspired enough to write anything, let alone something worthy enough to become a bestseller. So Rusty does what any sane individual would do in these circumstances; he decides to move out of his apartment, sell his possessions, and with the proceeds he purchases a motor home. 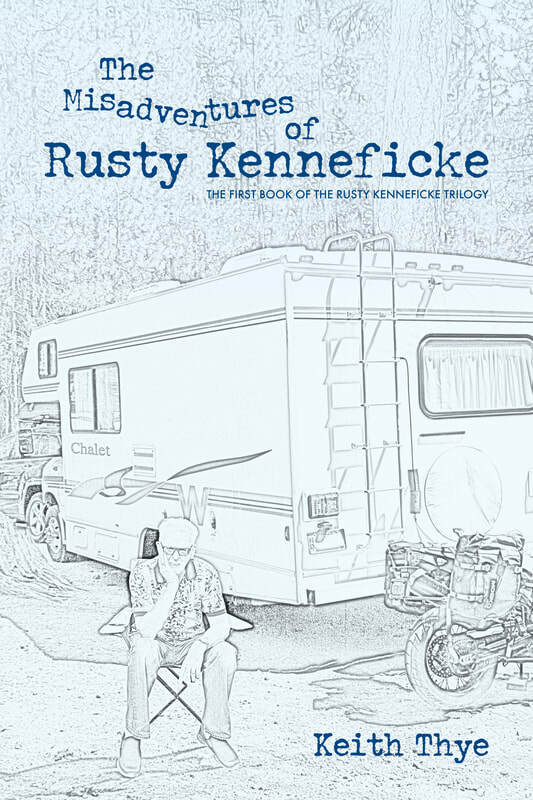 Rusty's plan is to travel the open road in hopes that his adventures will spark the much-needed inspiration for him to write the novel that will not only impress his skeptical publisher but will also finally become the sensational novel he so desperately needs to be able to continually support himself as an author. Packed up and eager to begin his new journey into travel writing, Rusty plans on driving the California and Oregon coast, and then heading inland to visit his parents in Portland. It’s a strategy that appears to be reasonably accomplished given his determination and traveling setup. However, things quickly start to go downhill for Rusty in the first of several quagmires he finds himself entangled in, when he accidentally fuels his motor home’s tank with the incorrect type of fuel, setting him back not only monetarily, but also delaying him three days to get the vehicle fixed. From seriously messing up a potential love interest, to hurting his ankle in a diving board accident, Rusty Kenneficke is continually enmeshed in some type of negative incident that is preventing him from positively moving forward on his travels and writing career. Will he be able to cast off the dark cloud that is looming over his head since the beginning of his travel-writing adventure, or will all his determination to write a great story be permanently thwarted by his constant run of bad luck? 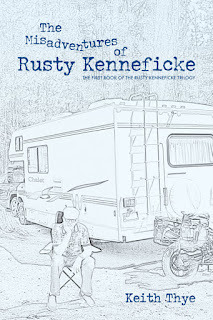 The Misadventures of Rusty Kenneficke, the first book in a trilogy by Author Keith Thye, is a light read and a good introduction to Rusty’s character and his calamitous adventures, and serves as a possible cautionary tale for any reader who dreams of a life on the open road. Truly, the word “misadventures” is putting it mildly. While some of the experiences can be seen as humorous, something akin to the character Mr. Bean and his silly antics, in the end, some of them are quite serious accidents. Also, the fact that these incidents keep happening, one right after the other, does border on the ridiculous side too. However, readers will want to quickly follow along in this story not only because they’re curious as to what incident will happen next, but to see how Rusty will pull himself out of the predicament, and steadfastly persevere despite all the horrors that befall him. The cast of characters that Rusty encounters throughout the story are numerous but memorable because of their wide range of strong personalities. For example, Rusty’s mother is particularly unforgettable when she asks her son to leave his family home because she’s afraid that the dark cloud hanging over Rusty’s head may bring bad luck upon the house and his parents. 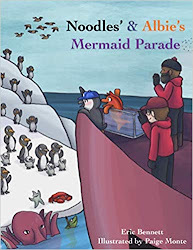 If you’re looking for an easy read with a straightforward plot, sprinkled with some humor and colorful, likable characters, then The Misadventures of Rusty Kenneficke is the novel for you. 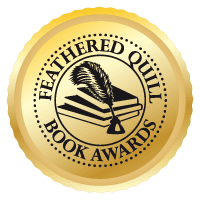 Quill says: The Misadventures of Rusty Kenneficke is a fun, often ridiculously misadventurous read that will keep you entertained and wondering what will Rusty get himself into next, all the way until the final chapter. 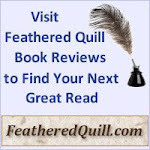 #BookReview - What Does A Police Horse Do?